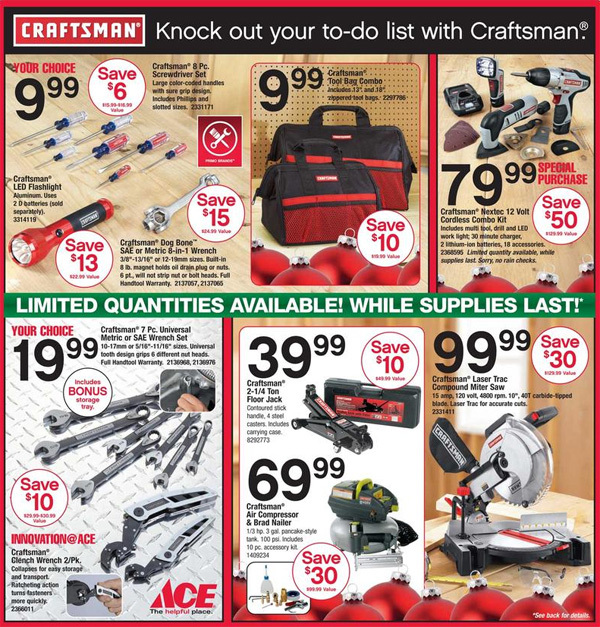 Found on the Black Friday adscan site is this flyer for Ace Hardware. We see Craftsman tools purportedly in “limited quantity” with stickers slapped all over them; with the savings you’d get, should you push and shove your way through the throngs to get them? 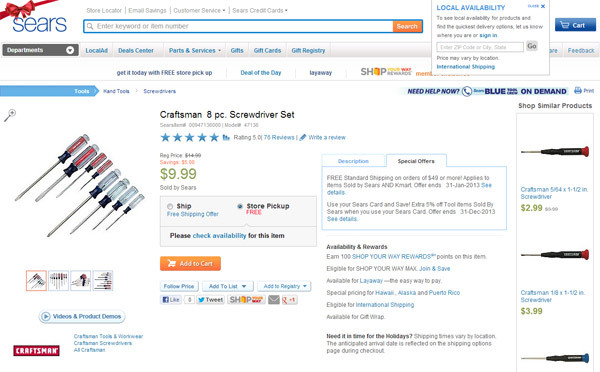 The first one on the list is an 8-piece screwdriver set for $10, which is a reported savings of $6. Sounds great, right? Just pulling up Sears.com will show you you can do the in-store pickup option on the same set of drivers, for the same price, anytime you’d like — without people kicking you in the ribs to get it. Many other wildly great deals are, like this one, not so much after you look at it. As always, use your gray matter and understand what you need. Research beforehand to find how much items go for and where you might find them. Then, if braving the dark terror and swarming mass of bargain hunters is worth it to you, pull the trigger. 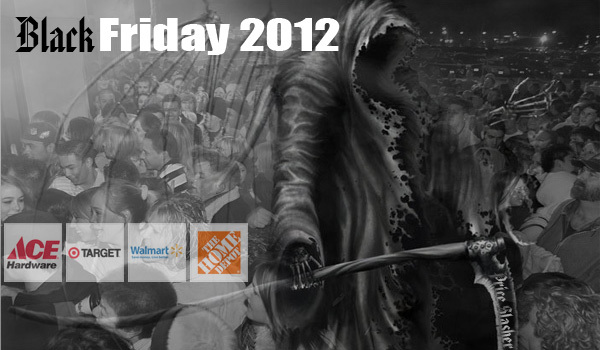 Above all, don’t needlessly get swept up into the fever of Black Friday. Black Friday is great but please be aware that all deals are not deals. The fantastic buy does not hold up to the time, energy, and effort it requires to get said discounted item. I retired from a major retailer, and I actually liked working Black Friday. There WAS an excitement about it because it was the start of the Christmas season. Now though retailers start the damned rush at 8pm on Thanksgiving day just to get a few more bucks in their greedy paws. Retailers also love the hype and free advertising from news organizations covering the dim wits camping out to save twenty bucks on a crappy TV that will last a couple of years or crappy tools that the recipient will re-gift, sell at the next garage sale, or donate off. Worth it these days, I think not. I avoid Black Friday like the plaque. Sometimes I’ll got to Woodcraft or Rockler for some kind of deal but there is rarely any kind of mad rush at those places. Also, the other customers that do show up are also woodworkers and we tend to get along incredibly well. Seems most agree that the deals are rarely (if ever) worth the hassle of Black Friday. Over the years there have been numerous studies about those who like to get into the “rush.” From my observation of those reports, it seems that most who actually like the event are considered to have lower IQ’s and major insecurity issues. The feeling derived is that of boasting what a great deal they were able to get while others missed out. It’s the hunter/provider thing I guess. Anyway, you won’t see me at the stores on Friday – especially since I will find everything on line with free shipping and the same or lower prices. I agree. There is nothing on sale at any price anywhere that is going to get me there on Black Friday.